happy labor day weekend! here's a quick and easy recipe for sangria popsicles i made recently. 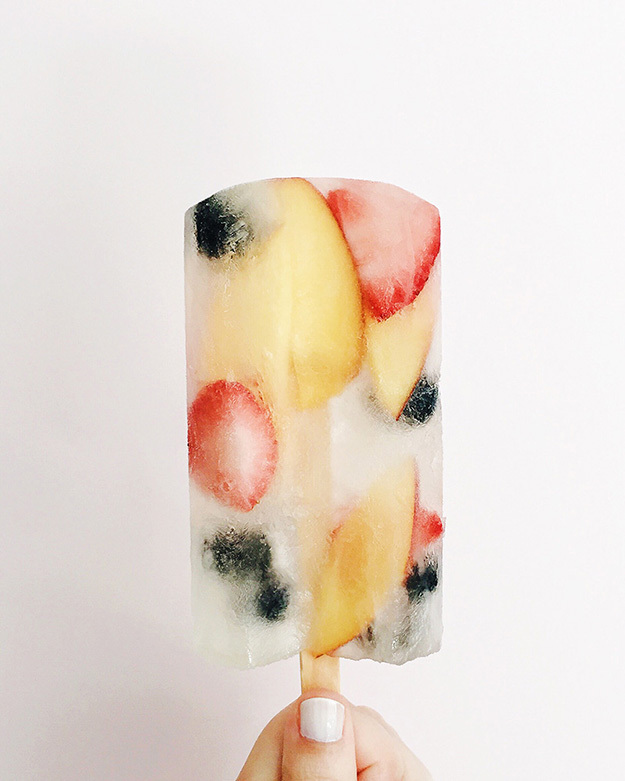 they're fruity and refreshing and would be perfect for the holiday weekend. combine the wine, schnapps, and simple syrup in a large bowl. thinly slice the strawberries and nectarines. add the fruit to each popsicle mold and pour in the wine mixture. carefully insert a popsicle stick into each mold. place in the freezer and allow to freeze overnight (or for at least 8 hours). if you have a hard time removing the frozen popsicles, run the mold under hot water for a few seconds! enjoy!